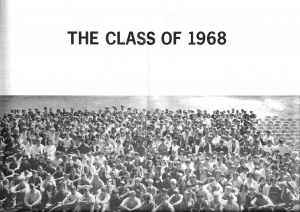 I'm looking forward to reunion #45, and I hope the same can be said for the rest of the Class of '68! I had a lot of fun helping with our last reunion, and I'd be happy to help with this one, too! C'mon, Class of '68! Let's do it! Has it really been 40 years since we graduated from good ol' Wa-Hi? Alas, tis true! Well, I'm sure looking forward to the reunion this summer! So what if we're all in our late 50's? We can still stand up and holler for Wa-Hi, and still look GOOD! Let's ignore our stiff joints, and those extra pounds, which I've always had, anyway! (Extra pounds, that is...the stiff joints came later!) Let's not be shy...We are The Class of '68! It's time to CHEER! The 40th reunion is going down in my personal history book as THE BEST EVER!! I had so much fun! It was fantabulously great to see all of you...to talk and laugh and hug, and dance, even though I'm all thumbs. (I guess that's the problem...you're supposed to dance with your feet!) OH! Penrose Lane! Fantastic! Great job, guys! I want to keep in touch with as many of you as possible. Let's keep this awesome website (Thank you, Eric!) going strong! Ok, till next time, stay well and happy, everyone. You really are great classmates and friends! 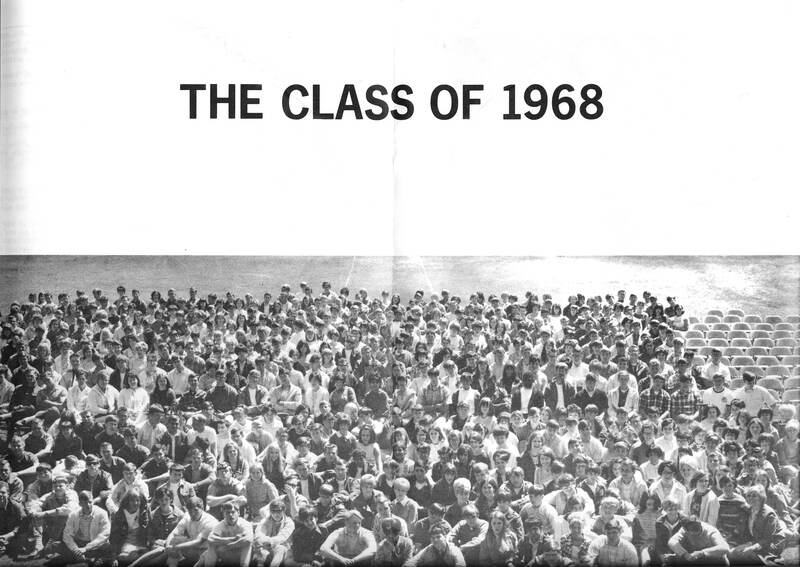 Hey there, Class of '68! How is the New Year treating all of you so far? I hope you continue to visit our awesome site and post updates! Well, time marches on, the beat goes on, and the next reunion (45th!!!) is really not that far away. I'm excited about it! I hope we have a good turnout! I've been running into a lot of classmates lately, which I think is cool! So many of you are in the Walla Walla area! I still think we're a good looking class! Gravity can't spoil our fun!! Well, Rah Rah For Wa-Hi!! Keep thinking....REUNION 2013!!! passed. I'm now 63...going on 12! Ha, Ha! I'm not hung up on age, so I'm not feeling blue about my age. But I have to admit that I often think to myself , or tell people in conversations, that it just boggles my mind that I've been out of high school for almost 45 years! Just doesn't seem possible! Well, as we all know so very well, time does fly! So, we find ourselves contemplating our next reunion, the 45th. I think it has the potential to be the best one ever! I hope we have a big turnout! I'm looking forward to seeing all of you again! "Hail to thee, our Alma Mater, Walla Walla Hail." Yea, I'm back in civilization in Beaverton, OR. Moved here last spring (2010) and I'm lovin' it!!! After HS, I joined the Navy where I was an Electronic Technician for 10 years. I was recruited to Silicon Valley,CA after the Navy, where I spent 23 years and learned the basics of Tie Dye while hanging out with the Grateful Dead vendors. I was living in my station wagon and sleeping at a truck stop in Modesto, CA when I decided that after a bitter divorce, getting laid off and then having my home forclosed that I would go ahead and follow the Dead around, (hey I could always be the guy selling veggie burritos out of his van) when I woke to the tragic news that Jerry had died. My first thought was "Oh crap, what am I going to do with my life now?" I worked at various contract jobs, in electronics, for several years until I met DeB in the spring of 1998 and it was love at first sight. DeB and I were married the day after our 30th HS reunion (the anniversary of Jerry's death, coincidently???) and we just celebrated our 10th anniversary. We returned to WW in 2001 where we were caregivers for my elderly parents for the last 6 years and are now picking up the pieces and getting on with our lives. We had a "Hippie" Tie Dye and gift shop out on Isaacs for a for couple of years and are, quite proudly, responsible for most of the Tie Dye running around WW. 2018 UPDATE Bought our home in Salem, OR several years ago...LOVE it Here!!! From Chuck: The best part of life was not then! It's every day! I made time for my childrens activities. Unfortuanately fear of not being perfect I often missed precious early childhood moments. I left their care to Sandy, my wife of 36 years, a patient and loving person. Fear of not matching-up limited opportunities in high school. But life today with my four grandchildren erases all that. The smile seeing their first flower, survival of their little falls. Experiancing them finish the ballet dance, after kickig asside their tutu which has fallen off during the dance. Pride not embarassment That's the best time of life living not wishing. My picture shows I'm still heavy - but I can walk and ride my bike to new experiences. Thank you God for the abundance like my fake knee and hip. Life is Good, then and now. My four children: Rob 38yrs Charlie 26yrs Emily 25yrs and Stephanie 24 yrs. Both my boys have children giving me 5 grandchildren; 4 grandaughters and 1 grandson. To see so many of you at the reunion was the best. Wish I had made it for Friday to see those who didn't come Saturday. I know I missed talking with many on Satruday.